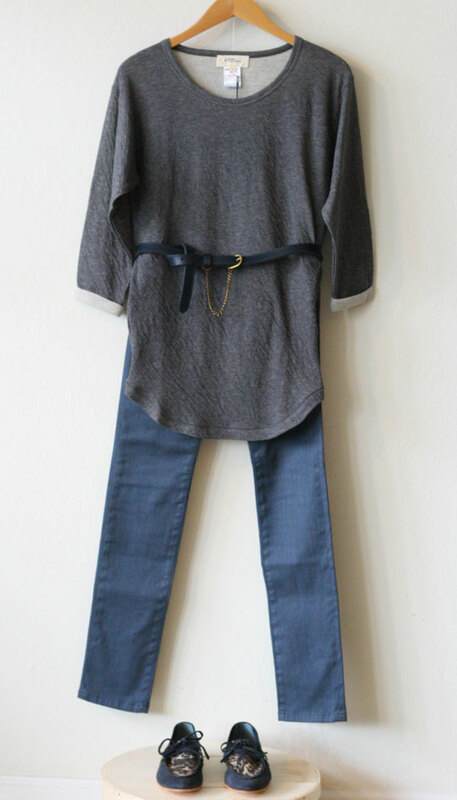 Left: Vanessa Bruno Athe blouse, Found Denim Juliette jeans, Twinkle necklace and Karen Walker belt. Center: Lover wool coat, Vanessa Bruno Athe dress and Vanessa Bruno bag. 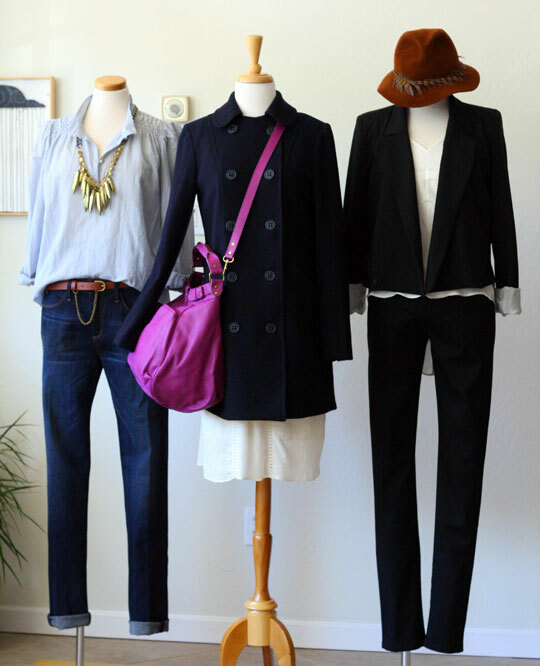 Right: Rachel Comey silk blouse, Superfine jeans, Vanessa Bruno Athe blazer and Eugenia Kim hat.